The hospital is a new development on the site of Canberra Hospital. 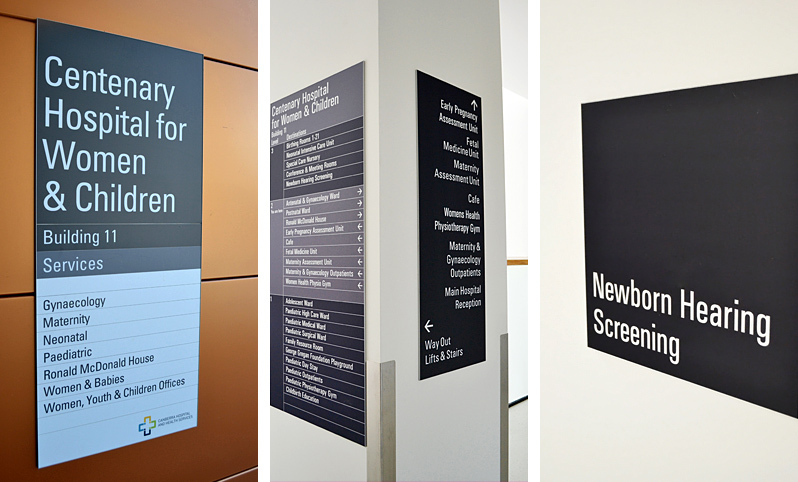 The wayfinding signage design was developed from the master design guidelines which Minale developed for the state health authority. The hospital comprises three levels and was built in two stages.